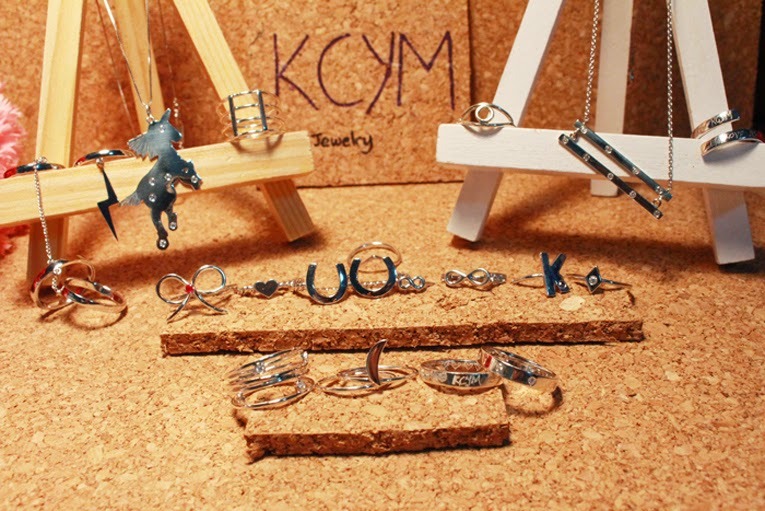 K A C E Y C H O : KCYM JEWELRY. ALL HAND MADE. To those who have been wondering what is KCYM, it is just a name i call for the jewelries i've done. It will be much easier for me to say KCYM jewelry than to say 'so these are the jewelries i've done'. The material used is Silver 925, also sterling silver. It is the highest quality silver for jewelry. It is called 925 because it has 92.5% pure silver in it and 7.5% with another metal. Nevertheless, we have white gold and in any case if you want platinum, we might be able to get it for you too. White gold is better than sterling silver but obviously the price is gonna be much higher. And platinum is better than white gold. I hope this information helps in choosing the jewelry! So here's my KCYM family. And the lucky horseshoe ring that isn't identical. But i just like it this way. haha. And that band attached to the horseshoe is being twisted with two thin bands. Yeah... a lot of handwork. 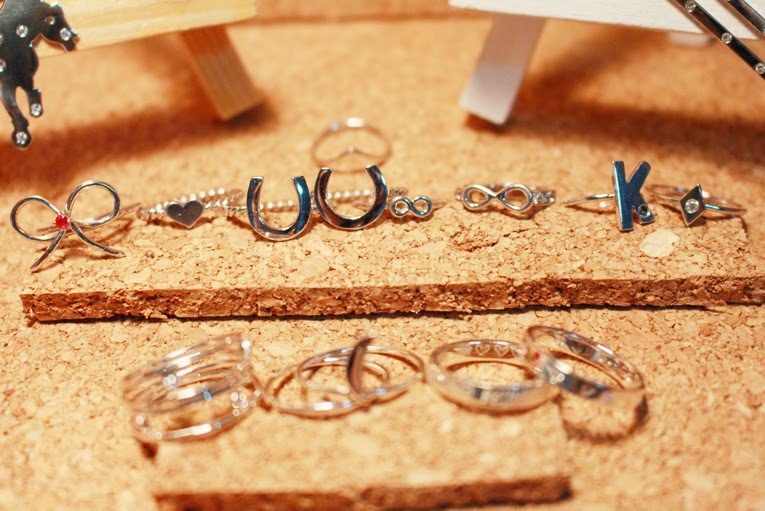 My favorites are the infinity ring and the unicorn necklace now :p .
Who is tempted to design their very own jewelry too?! Just come to me and i can help with that. (Only applicable to simple designs though). You can reach me at my email at yuenman25@hotmail.com. Alternatively, just find me at any social media platform under 'Contact Me' tab. I would safely say a custom made ring starts from $80. It really depends on the complexity of your ring. As for necklace, the same rule applies but it often starts from a hundred bucks. It didn't come to me that i have been doing this for almost one year already! Just hope i can get more rings and accessories for myself. hahahaha. I also hope to be able to source for other materials because i like variety. Ok. That's all for today. Thanks for reading & feel free to contact me if you want a custom made jewelry too :) .